Anyone who works in an office requires a printer on an almost daily basis to get documents and forms printed. Even freelancers and self-employed operators find the need for a printer on their work tables. The significance and demand of printers in the current era cannot be denied. The market is full of a wide range of heterogeneous printers of every shape and size, so choosing the right one for oneself becomes a perplexing decision. Worry not, as following are our current favorite printers that you can buy, whether you print every now and then or every day, run a home business, need to print projects for school-age kids, or even if you’re a photographer who wants to print high-quality images at home. Fret not, as the team at Appuals is going to provide you with enough assistance in discovering the most fitting printer for yourself. 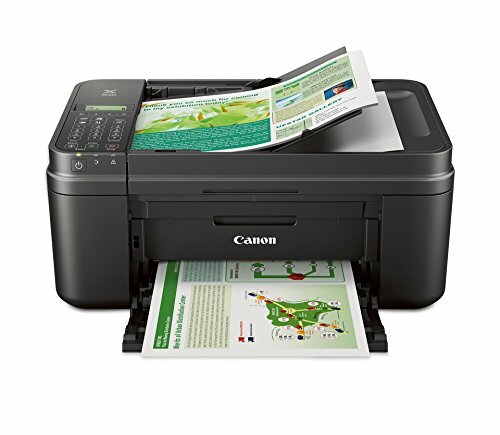 The Canon MX492 is a 4 in 1 functionality printer that not only prints documents or pictures, but also copies, scans, and faxes with convenience. With this printer, one can say adios to cables and wires because this beauty functions wirelessly, simply by connecting to the mobile device without the installation of drivers, saving you from the painful torments that you once had to undergo with those conventional printers that you had back in the early 2000s. The device has a built-in wireless LAN that provides a streamless and swift way to transfer data wirelessly. The printer copies documents up to the resolution of 4800 x 1200 dpi in color and up to 600 x 600 dpi in black and white. Similarly, the scanner has a resolution of 600 x 1200. The integrated automatic document feeder offers practical functionality that allows the user to experience a whole new mode of printing. The printer has a high-speed fax with 33.6 Kbps modem to meet your office needs; albeit this device would not be recommended to those who plan on heavily faxing documents on daily basis. The box comes with PIXMA MX492 , fine cartridges, setup CD-ROM, telephone line cable, and manuals. 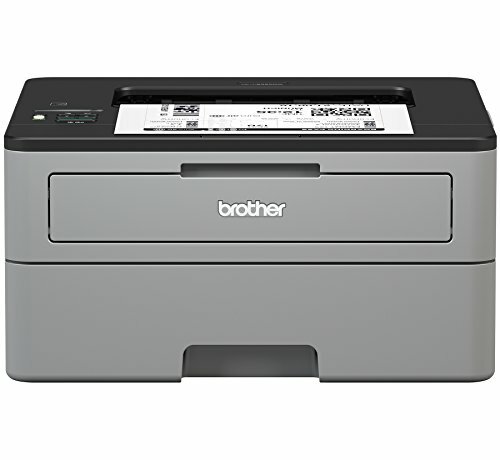 On second is the HL-L2350DW Brother Compact Monochrome Laser Printer. Let not it’s compact size delude you because this sleek device is the definition of ‘coherence’. This beauty can print up to 32 pages per minute, making it one of the leading printers in the market. Its concise size is perfect for use in homes and in offices with thronged desks. The laser print works super swiftly, having the capacity to accommodate 250 pages at once saving one the time squandered refilling trays. What makes this printer stand out from the rest is it’s Duplex Printing. This feature authorizes automated double-sided printing. You can say au revoir to the days you had to manually flip the pages over and over again. This printer makes printing as mobile as you are; printing wirelessly from your desktop, laptop, smartphone, and table. And to top it all, this model is eligible for Amazon Dash Replenishment; meaning that you will never run out of toner. Yeap, you heard that right. Smart technology detects low toner levels and automatically generates an Amazon order before you run out. Brother Genuine replacement toner is delivered right to your doorsteps. No subscription or cancellation fees. Pay only for the toner you need. Brother legitimately puts their customers before anything else! The only downside of this printer is that it is monochrome, so if you’re looking for a colored printer, this might not be your cup of tea. HP has unarguably earned its name in the category of printers. 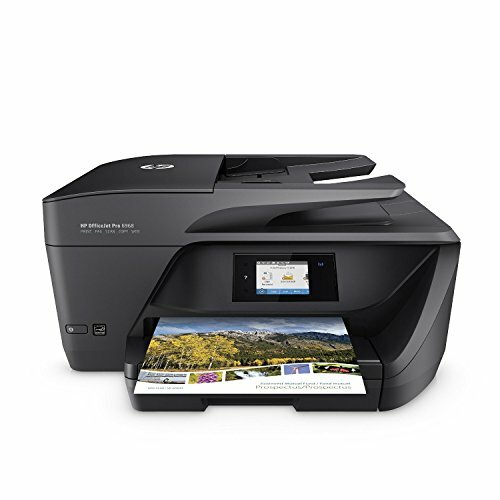 The OfficeJet Pro 6968 is a 4 in one printer that can copy, scan, fax, wirelessly print and can two-sided duplex print. It includes a 2.65-inch colored touchscreen and an automatic document feeder. The ink is instantly readied, hence running out of ink has been made almost impossible. Prints can be directed with the simple touch on the cell phone, a tablet or a PC with the aid of the free HP ePrint app or Apple AirPrint. OfficeJet Pro has an input capacity of 225 sheets, with 60-sheet output tray. The 35-page auto document feeder enables quick paper reloading saving precious time. Another notable feature is the Contact Image Sensor (CIS) that comes in handy for scanning. The CIS allows you to scan documents in up to 1200 dpi optical resolution to reproduce exact colors and large documents. This expeditious beast copies documents and files at the speed of 600 x 600 dpi. The HP OfficeJet Pro 6869 is a great, reliable, fast multifunction printer that generates sharp results every time, hindered only by its somewhat large footprint and the high cost of ink. Now Polaroid is a completely different ilk of printers. 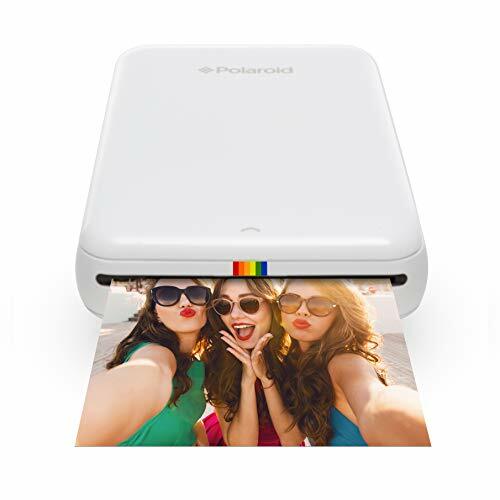 If you’re intrigued by cute and creative gadgets and want to instantly print out images for the sake of memories or decorating your soft board with the scenic pictures of your trip to Hawaii, then this printer is the one for you. Before purchasing the Polaroid ZIP Instant photo printer, you have to understand the model’s limitations. The Polaroid ZIP is limited to prints of 2×3 inches that will feature below average print quality most of the time, which are preferably taken by cell phone photographer. Keeping in mind the size of the images, the size of the printer is accordingly made, which is pocket sized. Hence it can fit into the pockets of your jeans or a handbag easily. It contains a rechargeable 500 mAh lithium battery that can last up to 25 prints per charge. The user does not require ink, toners, film, cartridges or anything of the sort. The box, in addition to the printer, comes with a micro USB cable and Polaroid ZINK photo paper (10-Pack). With the Polaroid app, you can now unleash your creativity by simply unlocking all the customizable and adjustable editing features the Polaroid has to offer. From stickers to filters to borders, photo editing has become ten times more interesting and fun! The KiiPix Smartphone Printer is the economical and most peculiar printer on the list. What makes this printer different is its extraordinary method of printing. This printer simple snaps the pictures off of your phone’s screen and prints them. No cables or wifi required. It’s as effortless as that; place film, place a phone on top and print! It creates stunning retro styles of photographs using natural light. KiiPix prints credit-card size photos that are the perfect size for wallets. All it requires is Fujifilm Instax mini film which is sold separately. 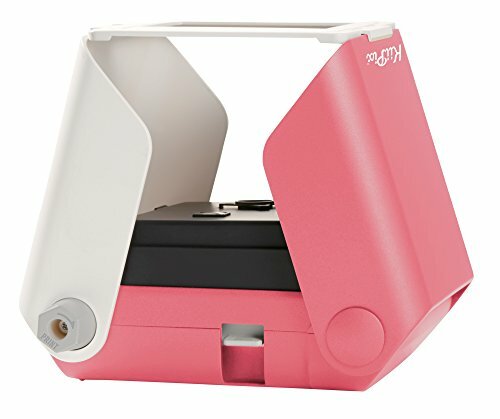 This printer, unlike the others, comes in 3 exciting colors: pink, blue and black, to suit your taste. The only limitation with this device is that it can print images from your smartphone only, nothing else. The design is sleek and such that it can easily be carried around and can instantly start printing. Sometimes there is a variation in the actual color of the image and that printed, but it all depends on the brightness of your phone and the lighting of your surrounding, but hey, with this low retail price, one can’t really be complaining much.